Last September 2014, a violent storm caused severe damages throughout Florence, particularly at the beautiful Botanical Garden, also known as the “Giardino dei Semplici”, which is one of the oldest botanical gardens in the world. The Garden was closed for several months, the time needed to make important restoration works that required, of course, also a significant economic effort. 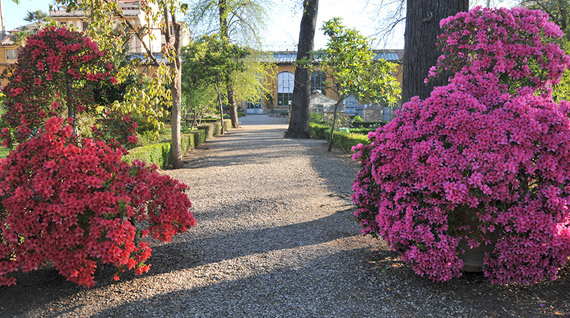 In order to help the garden reopen, PlanBee, the first Italian platform for crowd-founding for “green” projects created by Treedom, launched an important fundraising campaign (VisitFlorence was a media partner for the campaign) to support the project “Color the Giardino dei Semplici” for the redevelopment of four areas of the Botanical Garden. Thanks to the contributions collected many colorful shrubs, Japanese hydrangeas and azaleas were planted which all visitors can enjoy today! The fundraising campaigns on PlanBee continues! The first objective has been successfully reached and it’s time to proceed with the second step of the campaign of crowd-founding: the realization of an olfactory zone within the Botanical Garden. The “olfattoteca” will be a special lab that will allow children and adults to have an unusual sensory experience. Inside the greenhouses of the Giardino dei Semplici, boxes that spread the essential oils of herbs, spices and other essences extracted from plants found in the Garden will be placed together to create this particular teaching lab. Want to contribute to the campaign? You can donate directly through the PlanBee platform, with any amount of your choice. Based on the amount of the donation, you’ll receive some benefits such as admission tickets to the Botanical Garden, a certificate as a donor and a guided tour. 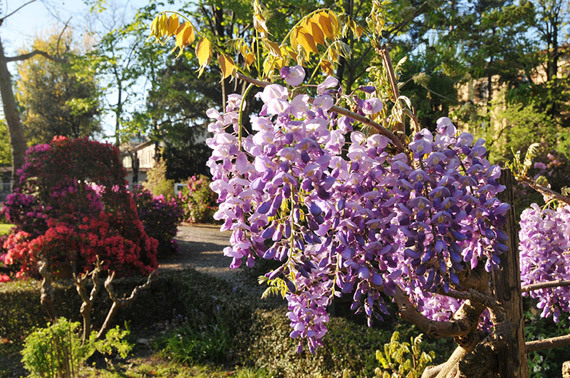 Orti Dipinti is the first community garden in Florence, an educational garden located in Borgo Pinti, in the historic city center. The Orti Dipinti have an educational and social intent, they are places where one can practice urban agriculture, but also deepen environmental awareness and a meeting point for citizens, children, students, professionals, tourists, local farmers and young people with disabilities. The project promoted on PlanBee involves the construction of a greenhouse inside the Orti Dipinti that would allow multipurpose activities like social gatherings and educational activities to take place indoors, particularly in the case of rain or in the winter, extending the use of the garden year round. Support the project with a donation: http://www.planbee.bz/en/project/10. According to your contribution, you’ll receive cool benefits, from green gadgets and an invitation to the inaugural dinner of the greenhouse.